I enjoy experimenting with cocktail recipes. I often drink Southern Comfort with diet coke. I also love Amaretto as a liqueur. This drink was an experiment and I ended up really liking it. Treat yourself to my Amaretto Southern Comfort Sour. 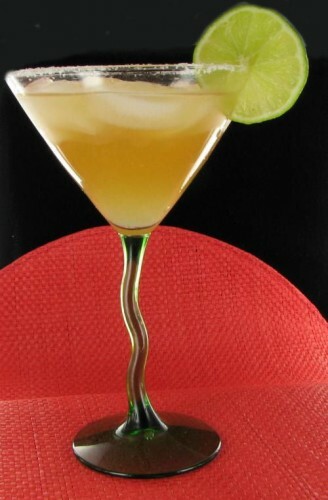 The drink has the almond flavor of Amaretto and the sweetness of Southern Comfort combined with a home made sweet and sour mix. It is refreshing and delicious. 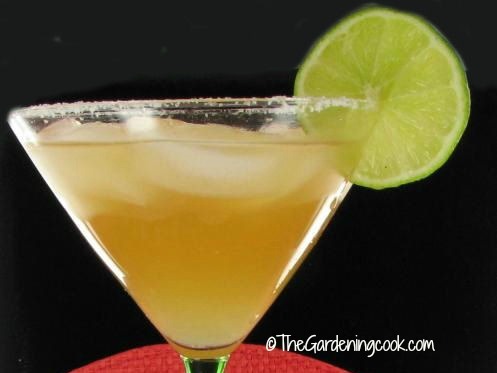 Garnish with a lime wedge and enjoy! I added some salt to the rim of the glass to tone down the lime and somehow it all worked! Put salt on a plate. Cut a slice of lime and moisten the rim of a martini glass. Dip the rim of the glass in salt and add ice cubes. 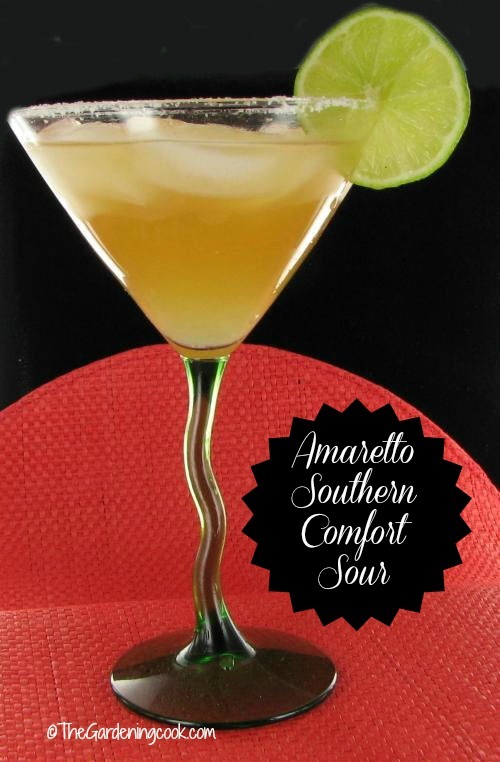 Combine the Southern Comfort, Amaretto and sweet and sour mix in a shaker and mix well. Pour over the ice. Garnish with a slice of lime. Enjoy.